Wed, Aug 8, 2018, 11:00 pm SL Time, ColomboPage News Desk, Sri Lanka. 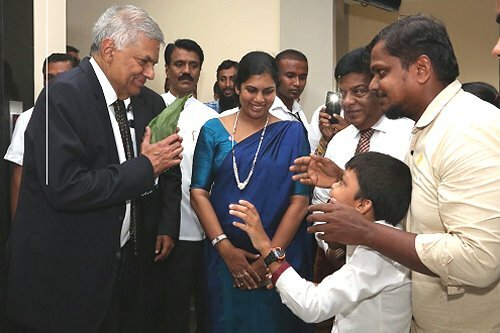 Aug 08, Colombo: Sri Lankan Prime Minister Ranil Wickremesinghe says the government has implemented many programs for the overall development of the country and both rural and urban areas in the country will undergo a huge transformation during next two years. He added that the present government is the most efficient and only administration in the history of Sri Lanka that has carried out the highest number of projects at grass root level for rural development. Speaking at the opening of the Bonavista Community Centre in Modara on Tuesday, the Prime Minister said the government has initiated a multi-pronged program to uplift the life of rural people. "We are delivering important facilities and services as part of our plan to develop our urban centers like Colombo," he said. The Premier observed that the government plans aim to improve people's standard of living and strengthen economy of the country while generating employment for the youth. He emphasized that the government is determined to allocate more funds to development activities in the country although it is not an easy task as the current government has to pay back a large sum of money as loan instalments for the debt borrowed by the previous government. The Prime Minister said the country is now on the road to development and progress and the government is committed to streamline the development drive. He added that Colombo city will be the hub of the whole development process. State Minister, A H M Fowzie Parliamentarian Ravi Karunanayake, Mayor of Colombo Rosy Senanayake were also present at the event.